It’s a challenge for even the most well-known brands to establish themselves in the Indian SME market. Startups don’t have a chance. “Targeting Indian SMEs is the shortest path to the grave.” – Vinod Muthukrishnan, CoFounder and CEO, Cloudcherry. The typical Indian SME owner doesn’t buy anything that is not absolutely necessary to keep the business going. You: Sir, I’m calling from WonderfulSoftware, and we have a wonderful SaaS platform that I think will be very useful to your company. SME: How much does it cost? You: We have flexible pricing plans, Sir. I can explain if you have a few minutes…SME: I’m busy right now. Can you call back afterwards? You: Of course, Sir. When can I call you? SME: Anytime. I’ll be free tomorrow afternoon. You: Sir, I’m from WonderfulSoftware. I called yesterday…SME: WonderfulSoftware? Who did you speak to? And so it goes on, until you get the SME owner to agree to an in-person meeting, at which point you have to go through the same thing all over again. They’ll keep asking you for a lower price or discounts, and they still won’t buy it at the end of the meeting. At best, you can get SMEs to try your product for free. Then, if they find it useful, they’ll start looking it up on the Internet to get a free alternative. It’s called “Jugaad,” a traditional business process of managing without spending, that keeps SMEs in India competitive. So now we come to the answer you are looking for here – how to sell to SMEs in India. There’s one very simple answer – get a salesman. This may seem obvious, but startup founders tend to think they are the best sales reps for their product. Getting a salesman, in this reference, means that you should get a professional sales person or a team, someone who can sell sand in the desert, or your product to the Indian SME sector. A recent business event for MSMEs jointly organized by the Confederation of Indian MSMEs and Yomillio was held at our Business Center in Bangalore. Evoma MD Ashok Vohra was one of the speakers at this event, and explained to the audience why startups need to get a salesman. “I’ll start off with a controversial statement…I don’t think there is any salesman in this room. Salesmen are born. They are not taught. Indians are not salesmen. Why? Because your parents, your grandparents said you don’t become a salesman… I can’t get a daughter for you, or a wife or whatever, etc. Its a very low title as far as Indians are concerned. So we are never used to selling. 2. Reseller network and referral sales. The best network I can think of that sells to Indian SMEs very successfully is Tally, India’s largest accounting software product for small businesses. Some 6-8 million SMEs in the country are Tally’s potential customers, and 5-6 million are already using* their accounting software products. Twenty percent of these users are paying customers, and the company sells to them through its network of 4,000 authorized resellers. The company’s resellers get most of their leads from referrals such as CA’s. These are financial consultants and auditors for SMEs, who use Tally and recommend it to their clients so that their job is streamlined. To replicate this highly successful model, you have to identify and reach referral partners who complement your product or service and serve the same set of customers you are targeting. So your marketing and branding campaigns should be aimed at such partners, rather than directly at the end customer. 3. Join SME clubs and B2B networks. Become a member of clubs where you can connect with and/or reach a large audience of SME decision makers. This is not just about social networking on LinkedIn or Twitter. You can personally network with club members, meet them at events, and advertise on these networks. You can find a full list of the largest and most reputed SME associations and clubs here. 4. Sell before you call. The key sticking point for Indian SME buyers is that they just don’t believe you, and won’t give you any money unless you prove that your product or service is actually going to help them reduce costs and/or generate more revenue. So do some research to find out more about the person, company, and their products before you even talk to them. Find out what they do, and how your startup can help them do it better. For example, if you are telling them that your software is going to automate something they do manually, then come up with a customized plan to automate their process and send it to the business owner before you call. If it’s a revolutionary GPS tracker or app you’re selling to a transportation fleet owner, then give them one as a freebie to test – an evaluation piece. The fleet owner will test it and make you come again and again to discuss how it works and what your product can do for them. 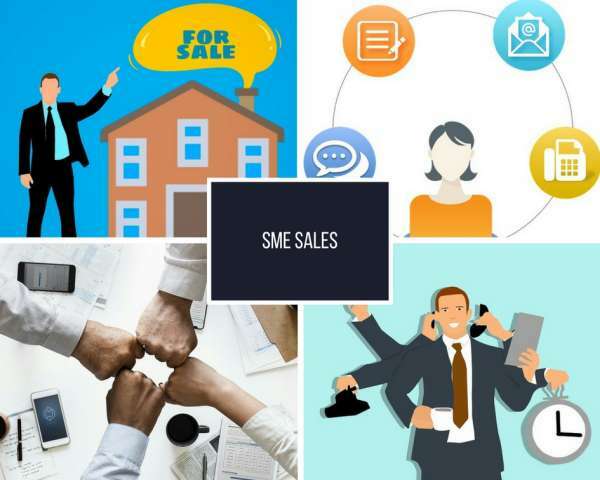 At the end of a dozen visits, you’ll probably know more about the SME owner you have been meeting, his business and the product, than any other sales guy in the city…and that’s when you get your new SME friend to sign off on the sales contract.